Health insurer Anthem has teamed up with Walmart to expand its senior members' access to over-the-counter medications. Through a new partnership beginning in January 2019, Anthem's Medicare Advantage members will be able to use their insurance to shop for over-the-counter drugs and other items, such as first-aid supplies and support braces, at Walmart's 4,700 stores and online. Anthem serves more than 1.7 million seniors in Medicare Advantage plans. The Indianapolis-based insurer expects the partnership will reduce seniors' out-of-pocket costs. "We believe that programs like this can make a tremendous difference for healthcare consumers who often live on a fixed income or are managing chronic medical conditions," Felicia Norwood, president of Anthem's government business division, said in the announcement. Anthem Medicare Advantage members currently buy over-the-counter medications and health-related items through a catalog by purchasing online or by phone, according to a company spokeswoman. Anthem also offers some customers a retail card to use at a limited number of retail stores. Over-the-counter benefits help consumers access medications and other health-related items often not covered under Medicare Advantage prescription drug plans. 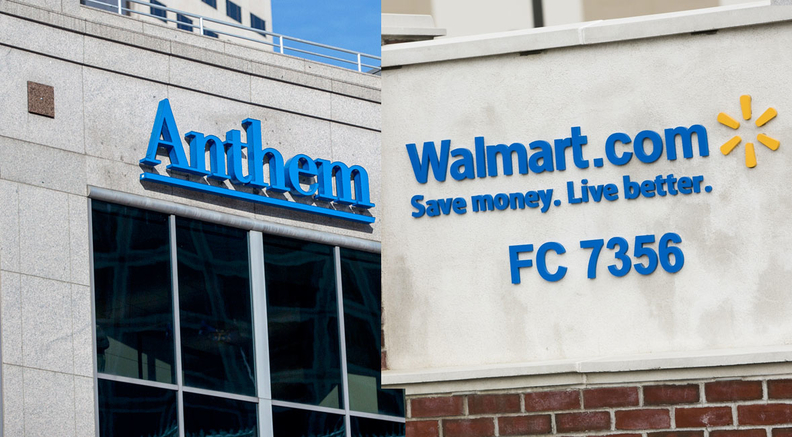 Anthem's partnership with Walmart demonstrates the insurer's focus on Medicare Advantage. In the past seven months, Anthem bought two Florida-based Advantage plans, Health Sun and America's 1st Choice. And in July, company officials said Anthem would concentrate on growing group Advantage membership in 2019. Anthem is just one of the many health insurers investing in Advantage plans to try to gain a competitive edge in an increasingly concentrated market. Enrollment in the plans continues to climb, reaching about 21.4 million seniors as of August, according to the latest data from the CMS. That represents about one-third of all Medicare beneficiaries. New competitors like Oscar Health are trying to gain a foothold in the potentially lucrative business.